Under "Vision 2025 Programme of WAPDA", the Government of Pakistan (GOP) approved the Project in August, 2001. PC-I was prepared by WAPDA in August, 2001 at an estimated cost of Rs.12,829 million (Rs. 4,964 million in Foreign Exchange) which was approved by executive Committee of the National Economic Council (ECNEC) on 31August, 2001. Gomal Zam Dam is located at Khajuri Kach on Gomal River in South Waziristan Agency, Federally Administered Tribal Area (FATA), on the West of Districts Tank and D.I.Khan of KPK. The areas to be irrigated fall in District Tank & Tehsil D.I.Khan Tank Road.From Tank, the Dam site is about 60 km (38 miles) to the West and is connected through a metal led road. Control of flashy hill torrent floods. Length of Barrage 620 ft.
A 133 meters (437 feet) high curved Gravity Type Roller Compacted Concrete (RCC) Dam at Khajuri Kach with a Gross Storage of 1.140 MAF and a Live Storage of 0.892 MAF. Power house near the Dam site to generate 17.4 MW of hydro power. An irrigation system to serve a cultivable command area of about 66,000 hectares (163,100 acres) in Districts of Tank and Dera Ismail Khan. It includes a Diversion Barrage near Kot Murtaza Main Canal about 60 km (37.5 miles) long and Distributaries about 200 km (125 miles) long. Flood protection works of protect the infrastructure and irrigated areas from flooding caused by hill torrents to the North. On farm development works confined to construction of watercourses for conveying the water from outlets to farm gate. The project of being implemented by WAPDA. General Manager (Projects) North, WAPDA Peshawar is administering the Project. 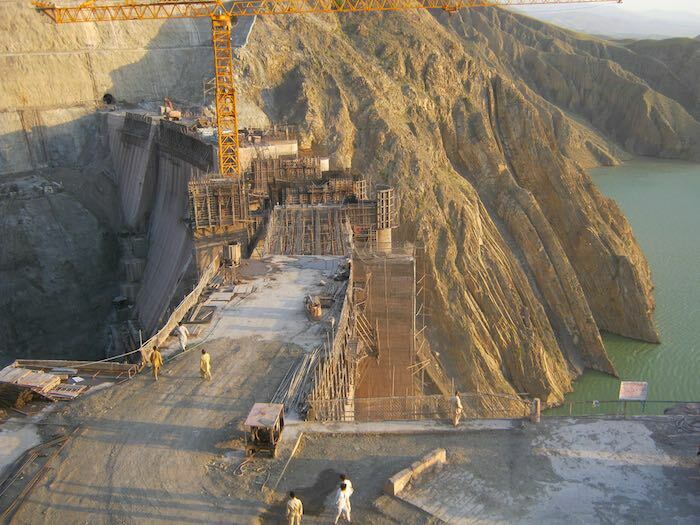 Project Director Gomal Zam Dam Project WAPDA is responsible for Project Implementation with the assistance of Management Consultants. Government of KPK is associated through its irrigation Department by establishment of an outfit to look after the irrigation and Drainage Component of the project. 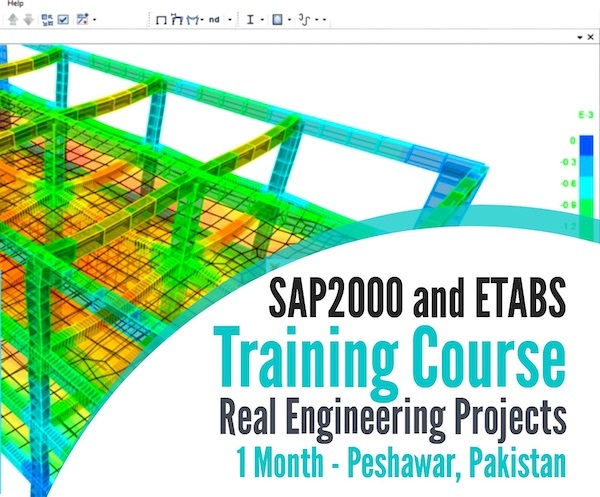 In February 2002, WAPDA engaged Management Consultants (MC) comprising a joint Venture of four national and one international firm led by National Development Consultants (NDC) to advise/assist the Employer in Procurement and Implementation of the Project through an Engineer, Procure and Construct (EPC) Turnkey Contract. The Contract for implementation of the Project on Engineer Procure & Construct (EPC)/Turnkey basis was previously awarded by WAPDA on 17 June2002 to the Joint Venture Comprising China National Water Resources and Hydropower Engineering Corporation and Harbin Power Engineering company of the peoples Republic of China at a Contract Price of Rs. 4,388,833,600 (65% foreign exchange) under EPC/Turnkey Contract to GZD-01. The Project was scheduled for completion within a period of 4 years and 76 days to be reckoned from 15 July 2002 the date of commencement. The Chinese Contractor commenced the work on time but after the unfortunate incident of kidnapping of chinese personnel on 09 October 2004 stopped the work forthwith. Efforts made by WAPDA to persuade the Chinese contractor to resume the work were not fruitful. Since the Contractor did not resume the work, the contract was eventually terminated by WAPDA on 14 April 2006. In pursuance of the decision of Economic Coordination Committee (ECC) of the Cabinet for award of Contract to Frontier Works Organization (FWO) on EPC/Turnkey basis, WAPDA awarded an EPC/Turnkey Contract No. GZD-02 to FWO on 09 March 2007 at a Contract Price of Rs. 10,400,633,666 (65% of foreign Sub Contractor's cost in foreign Exchange) for completion of the Project works as per scope of the previous Contractor. M/s Sinohydro Corporation of China are the Sub Contractor for the Dam & Hydro power Component (Less Transmission Line) and M/s Tekser of Turkey are the Sub Contractor for the Irrigation and Flood Protection Component. The Works are scheduled for completion within a period of 03 years and 120 days to be reckoned from 11 June 2007, the notified date of commencement. The Project is thus expected for completion on 08 October 2010. The previous EPC Contractor had achieved 13.3% physical progress of Permanent Works executed at site up to 09 October 2004. The completed works include Design Services (partly) 392 m long concrete lined Diversion Tunnel (6.8m inner dia) Dam abutments excavation (Partly) Foundations for Transmission Line some work on Main Canal and Distributaries. After re award of work FWO started mobilization and deploying their troops and FC troops for security purposes in the last week of May 2007 which continued during June and July 2007. The Chinese Sub Contractor of FWO also started mobilizing Chinese/Local personnel on Dam site in June 2007. After restoration of preparatory works the Contractor started work at site on 10 August 2007 which is in progress. This progress is against overall target of 34.5%. There is an allocation of Rs. 2000 Million for the financial Year 2008-09. Total up date expenditure incurred on the Project since commencement is about Rs. 2.973 Million. The overall up-to date financial progress on the project is thus 23.17% of the PC-I Cost (i.e. Rs. 12,829 Millions).